Can an individual person buy SBR, Full Auto or Burst rifle? No, WW does not sell direct or drop ship these items to individuals. We only will sell to LE Department/Agency. What is the Individual Officer/Military discount? 10% off of Retail for parts. Please contact Cindy Thompson for rifle quotes. Please provide both email address and phone number. Is the LE/Military discount available to retired as well as active? 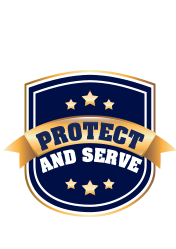 If you are a representative from a Law Enforcement/Government Agency looking for pricing on any of our products please use the forms below or contact us directly with your question(s). Fill out the Order and Payment_Form and fax to (207) 221-1630. DO NOT EMAIL THIS FORM TO US. You may also call us at 207-893-2223 for a quote. 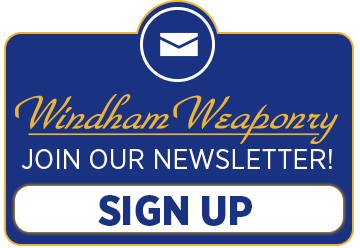 Windham Weaponry is proud to offer our LE Discount Program to all Active or Retired Law Enforcement and or Military Individuals. For any questions regarding qualifications please email me at LE@windhamweaponry.com. Orders can be submitted one of the following ways: Snail Mail, or Fax (207) 221-1630 Please be sure to include all required forms needed to place your order. If you do not wish to send your credit card information with the order, it will be up to you to call our office with the information at (207) 893-2223 and ask for the LE Department. The credit card form below will need to be filled out and sent back to me (unless you have called with the information). The appropriate statement of purchase form listed below will need to be filled out and sent back to me. If you are NOT sending a copy of the FFL with your order you will need to write the name of the FFL we will ship the rifle to at the bottom of your statement of purchase form. PLEASE DO NOT EMAIL THIS FORM. PLEASE FAX IT TO (207) 221-1630.